Editor's Note: This post was originally published on October 17, 2017. Housecall continues to share this piece due to ongoing requests and reader interest. As hurricane season is revving up, much of the East Coast braces for Hurricane Michael. Most residents of hurricane-prone areas expect storms to hit during this time of year, but the buyer and seller population may not be familiar with the ramifications of a hurricane that disrupts a real estate transaction. Unfortunately, you may come across individuals that try to take advantage of vulnerable homeowners. Following a natural disaster, service "professionals" who are not qualified to perform a job may try to overcharge for a service claiming an increase in demand. If not careful, you can wind up with a botched repair that costs you thousands of dollars. "My No. 1 piece of advice to buyers and sellers post-hurricanes is to be aware of everyone that you’re dealing with and make sure that they’re a trusted name in their industry. During times of distress, a lot of companies try and profit from those in need. For example, make sure the roofer that comes to your door knocking for business is an actual licensed and insured roofer. Better yet, look up the business and find their customer reviews online," says Wilson. "You need to have a home inspector take a look and make sure any work you had done was done properly," says Nimkoff. The market was hit hard and it will take time for everything to settle down. Not all homes are back on the market after sustaining damage during the hurricanes. In a few more weeks, you could be seeing more activity. However, if you do see something you like, it will most likely sell quickly since inventory is low. If a home fits the bill, jump on it before another buyer comes along and claims it. "I advise buyers to act on the same day the homes get listed if they’re interested, otherwise they will have a very difficult time in getting their offer accepted once there's been a multiple offer situation. My theory is: the first agent in the door—with the best offer and continued communication with the other agent—wins!" says Wilson. "Because it is a seller's market and there is an unusually high number of sellers, buyers want to be able to try and attract them and negotiate with them quickly," says Nimkoff. Get back on the market. If your home was damaged by the hurricanes and you are trying to sell, fix any issues as quickly as possible so you can get your home back on the market. If your home only sustained minor damage, fix any issues without withdrawing your listing. Time off the market can translate into offers that you could be missing out on. Buyers will start to come out of the woodwork after laying low in the weeks following the hurricanes. "I have a current seller who needed to have a new roof put on because of the hurricane. We went under contract with a buyer, got insurance to approve the new roof and scheduled a professional to place the new roof on the home—all while still on track with the original closing date of just 30 days from contract to close," says Wilson. "You need to make sure that your insurance values are up-to-date. If you do have a loss, you can quickly have it repaired and you don't have to get into a fight with the insurance company. If you suffered some sort of loss, you need to repair it quickly and properly," says Nimkoff. Be flexible and keep the end goal in mind. Do remember that hurricane season can be stressful. Emotions are high for both buyers and sellers. Work together to achieve your goal while avoiding the drama. "It's an awfully tight market. A thousand people a day are moving in here. Don't get too focused [on hurricanes] that you forget about the long-term benefits. We have pretty low interest rates right now," he adds. It is not and never easy to get back up from a disaster. But thank you for this post and reminders! What a great help to those who might still be coping up from the hurricane. This is indeed inspiring. Before the storm makes landfall, it is very important to review all insurance policies. 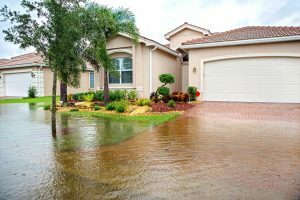 Most hurricane insurance won’t cover flood damage and there’s also specific requirements for flood insurance to take effect. Well these reminders are still very timely. Thank you so much! Leave a Reply to Tommy W.